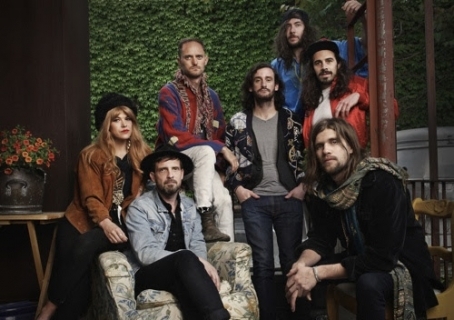 Brooklyn's band of folk innovators Streets of Laredo (whose core members are from New Zealand) seems to be growing larger every year - now a septet, they started out as a trio, and it was five of them when we booked them for our 2013 NYC B.E.A.F. They just released this new dreamy (and admittedly not very folky) single entitled "Diamonds," and took the opportunity to announce that they'll be playing Governors' Ball in a few days (Sunday June 7). Knowing how great these guys are live, that's a show you don't want to miss. 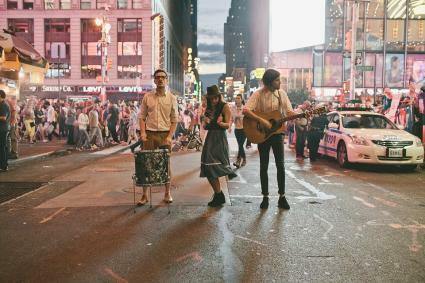 Streets of Laredo is the perfect band to get the many NYC country haters reconciled with their American music roots - which is bizarre, considering the band's nucleus hails from New Zealand. Their songs, although within the canons of Americana, feature indie elements and a punkish attitude, and have a stompy quality that ignites an atmosphere of fun in any room - also thanks to a top notch live delivery, which we witnessed in person at last year's Deli B.E.A.F. Fest and more recently at our stellar 3 stage CMJ 2013 show at Rockwood. The band recently released two new EPs entitled "Vol I" and "Vol II," and just unveiled this stunning video for new single "Lonsdale Line." 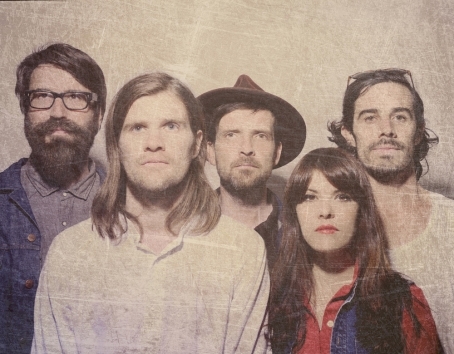 They will tour the East Coast in March and hit SXSW on their way south. 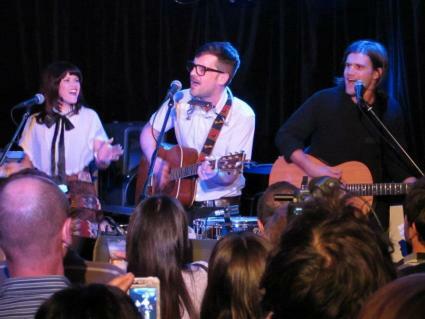 Kiwi transplants Streets of Laredo was one of the highlight of our B.E.A.F. 2013 Alt Folk Stage in early June - they packed Spike Hill and put up a truly entertaining show. The trio flew back to their home country earlier this year to finalize a full length album we are looking forward to listening to. While waiting, enjoy once again their single from last year 'Girlfriend' (streaming below) and this recent Mike Levine's interview with the band here.